Buy 1 - 7 for $16.99 ea. Buy 8+ for $15.94 ea. Buy 1 - 7 for $14.95 ea. Buy 8+ for $12.95 ea. 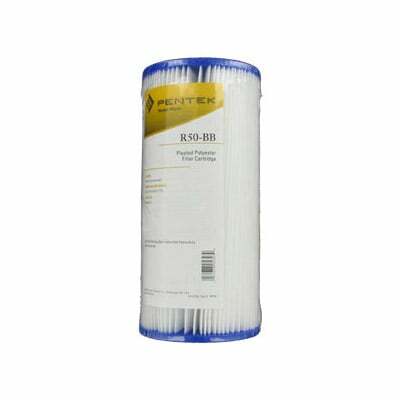 The Pentek R50-BB replacement pleated polyester water filter that is compatible with the American Plumber W50PEHD is a whole house water filter designed to filter coarse sand, rust, and scale particles in your drinking water. 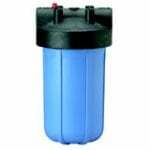 Because of its high dirt-holding capacity, the heavy duty HD-950 filter is ideal for use with well-water. Standard size 10" filter housings with a 4-1/2" diameter including Ace Hardware, Ametek, Bruner, Culligan, Kleen Plus, Pentair, Pentek, Plymouth Products and US Filter. 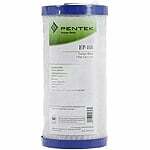 The FiltersFast FF10BBPS-50 water filter is the correct replacement for the Pentek R50-BB. By using pleated filter media, this water filter stops at nothing when it comes to reducing sediment particles like sand, dirt, rust, and scale. Even with a high sediment holding capacity, this filter never quits, and has the ability to produce a high flow rate. 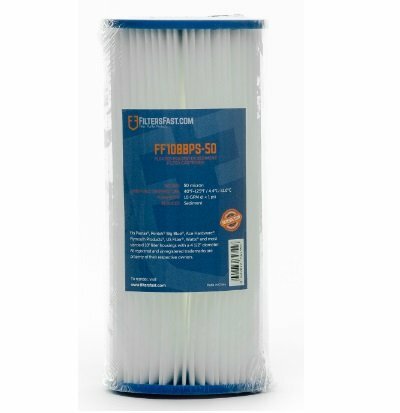 Ideal for whole house filtration, light commercial and industrial applications, the FF10BBPS-50 doesn't contain cellulose which allows it to be resistant to bacterial and chemical attacks, making it ideal for pre-filters for well water filtration. The Filtersfast FF10BBPS-50 is compatible with the Pentek R50-BB and any similar standard size 10"x4.5" filters. The FF10BBPS-50 will also fit any Pentek 10" Big Blue Filter Housings.